My little girl turned 6 this past week. The theme for her birthday was Gumballs! Isn't this old fashioned gumball machine shape adorable? I purchased the cutter from ecrandal - a fabulous family-run cookie cutter business based out of North Carolina. You can find this exact fancy-schmancy copper cookie cutter here! 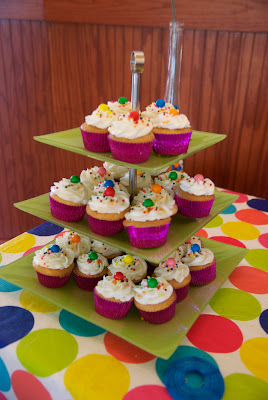 The cake - two-layer 6" strawberry with buttercream icing and fondant "gumballs"
the treat table - so.much.sugar. 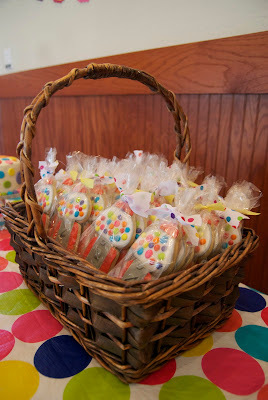 I love, LOVE these cookies! They are so cute and unique! The cake and cupcakes look yummy too! What a fun party! Thanks for sharing! What a wonderful idea! My son is going to geek out when he sees these custom cookies come out of the oven. Oh wow -- I can't even imagine how long all those gumball machines took to make! They are too cute! I found your blog while searching for a gumball machine cutter and OMG - I feel like you jumped into my head. 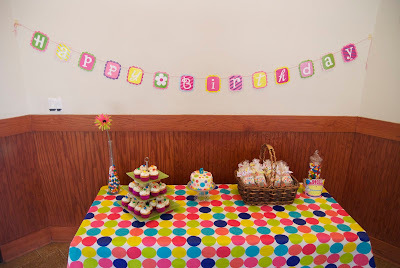 My baby girl is turning 6 too and we are having a gumball party as well....actually it's a bubble-riffic theme (bubbles, bubble gum and other things that pop and blow!) 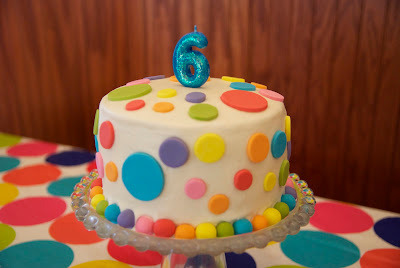 I just got that #6 candle from Tarjay and I just decided to do a personal cake for her similar to yours with the gumball border...I initially wanted to do a gumball machine cake and realized my time is running short and that cannot happen, okay I'm rambling, but everything looks absolutely adorable! Everything looks very colourful and lovely!